Oshawa Museum offers a range of different programs for your celebration requirements in Oshawa, ON. Museum staff delivers high quality educational programs to a wide variety of groups including children, adults and students. Click to download our educational pdf. Download colouring sheets from our Henry House colouring book. The Oshawa Museum preserves and promotes awareness and appreciation of Oshawa's history for the education, enrichment, and enjoyment of a diverse audience. As the only community museum in Oshawa, we take great pride in highlighting the history of our city from the earliest Indigenous inhabitants to present day. The Museum is administered by the Oshawa Historical Society, a not for profit charitable institution, as an external agency of the City of Oshawa. We are a unique and affordable spot for education programming. Open year round, the Museum consists of three heritage homes all on their original foundations. All of the houses you will see are on the same spot they were built on over 170 years ago. The three houses, Guy, Henry, and Robinson are named after their inhabitants and are used to help share the story of Oshawa. We cultivate an interest in history and create engaging experiences and lasting memories with our educational programming at the Oshawa Museum. Come home to our history. Trained museum professionals, staff and volunteers create and run the programs. The Museum guarantees a high quality, interactive experience for both you and your students when you book programs with us! For more information, click here to read our Education Catalogue. For bookings or inquiries, please phone Jill Passmore, Visitor Experience Coordinator at 905-436-7624 ext. 106. Did you know that we also offer programs for special interest groups, all levels of Guiding and Scouting, retirement and nursing homes and local charitable organizations? Delivery of programs can take place during the evening and last approximately 1/5 hours. All programs include a full tour of the Museum from costumed guides if applicable to the program. Two Museum staff will be on hand during the program; however, we ask that you maintain a minimum of 1 adult: 5 children for primary grades and 1 adult: 10 children for intermediate grades when you visit with children. All three houses at the Museum have accessible entrances. Guy House is equipped with an accessible washroom. Service animals with identification are welcome. To review programs offered by the Museum, click here to read our Group Tour Brochure. For bookings or inquiries, please phone Jill Passmore, Visitor Experience Coordinator at 905-436-7624 ext. 106. The Oshawa Museum has developed over fifty lectures that pertain to various aspects of Oshawa's immense cultural history. Lectures are $50 each, plus mileage if your facility is located outside of Oshawa. Lectures are approximately one hour long and are often accompanied by associated artefacts. An experienced staff member of the Oshawa Museum delivers each lecture. To see a full list of lecture topics offered by the Oshawa Museum, please click here. Use of the Guy House Verna Conant Gallery for one hour equipped with tables and chairs. One hour of structured supervised programming in either Robinson House or Henry House. Use of the Museum's children's costumes (if applicable to the program). Loot bags for each child. There is a maximum of 15 children. The Birthday child's parents are admitted for free. However, for supervision purposes we require 1 adult for every 5 children, therefore there could be an additional $6.00 charge. There is an overtime charge of $30 per half hour. There is a $100 minimum fee if the party is to be held on a day we are typically closed. To secure the date of your party, a non-refundable $50 deposit is required at the time of booking. On the date of the party, the remainder of the amount due is charged. You should arrive 15 minutes prior to your party starting to set up and greet guests. The parents of the birthday child will be charged for any extra children or adults that stay for the party. All parents must stay with the children when they travel to the other Houses. A non-refundable $50 is required at the time of booking. Payment for the remainder amount is due for the group upon arrival for the party. Payments can be made by cheque, cash, debit, Visa and MasterCard; cheques should be made out to the Oshawa Historical Society. No fee for cancellation will be charged if the birthday party is rescheduled. The party must be rescheduled during the same year. If the party is cancelled AND NOT rescheduled, with more than 48 hours’ notice, the $50 will not be refunded. The full party fee will be charged if less than 48 hours notice of cancellation is given based on the number of children given at time of booking. You must call 905-436-7624 ext. 106 and speak with staff directly to cancel and reschedule a party. If you do not verbally confirm cancellation with staff, your party is NOT considered cancelled. Should you decide to cancel on the day of your program, call early in the morning to leave us a message. 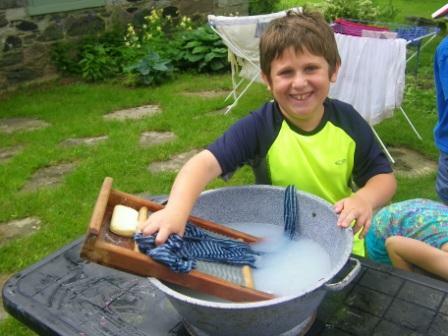 Kids will dress up in the Museum’s children’s Victorian costumes and explore Henry House. 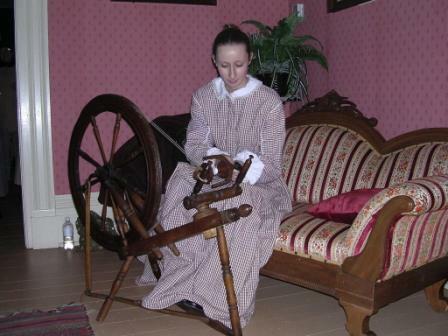 They will see how a Victorian family lived in the 1870’s and a costumed interpreter will teach them how to sew. The children will each take home their creation. Back in the Verna Conant Gallery in Guy House, they will review Victorian etiquette and manners. The party will travel to the Museum’s latest exhibit – A Carrying Place: Oshawa’s Indigenous Story and learn what it is really like to be an archaeologist. They will see artifacts from the Lake Ontario Iroquois that date back as far as 1400 A.D. and a model longhouse that depicts how they lived. They will use these artifacts as examples when sculpting their own clay pot. 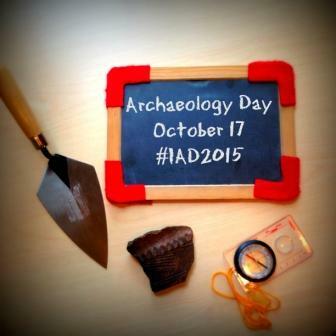 Finally, they will complete a mock dig and see if they can find any artifacts! Copyright © Oshawa Museum, 2019. All rights reserved.